The Centre National d'Art et de Culture Georges Pompidou locates in the Beaubourg district of Paris. 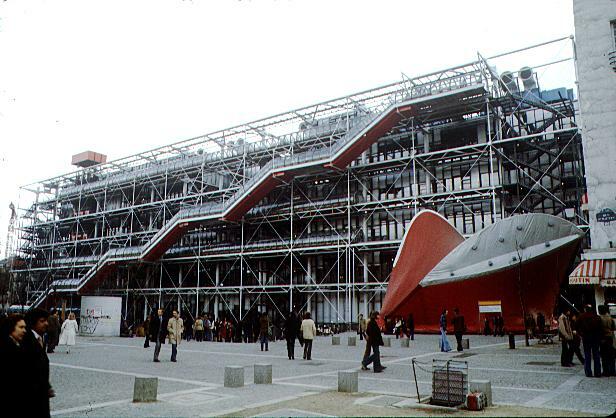 President Pompidou conceived (1969) the idea for Beaubourg, as the center is also known, to bring art and culture to the "man in the street". It was designed by architects Renzo Piano (from Italy) and Richard Rodgers (from England)and was completed in 1978 .